What are the characters on the top of the reverse? Do they translate to anything or is it a design feature? Never mind, if anyone was wondering like me what the 4 characters above mean, it's Manchurian, the first two characters being the Emperor's name and the last two being the third year of his rule. I don't understand why this user is not banned, they are actively spreading disinformation. The 1934 dollars posted above are crude, obvious fakes. 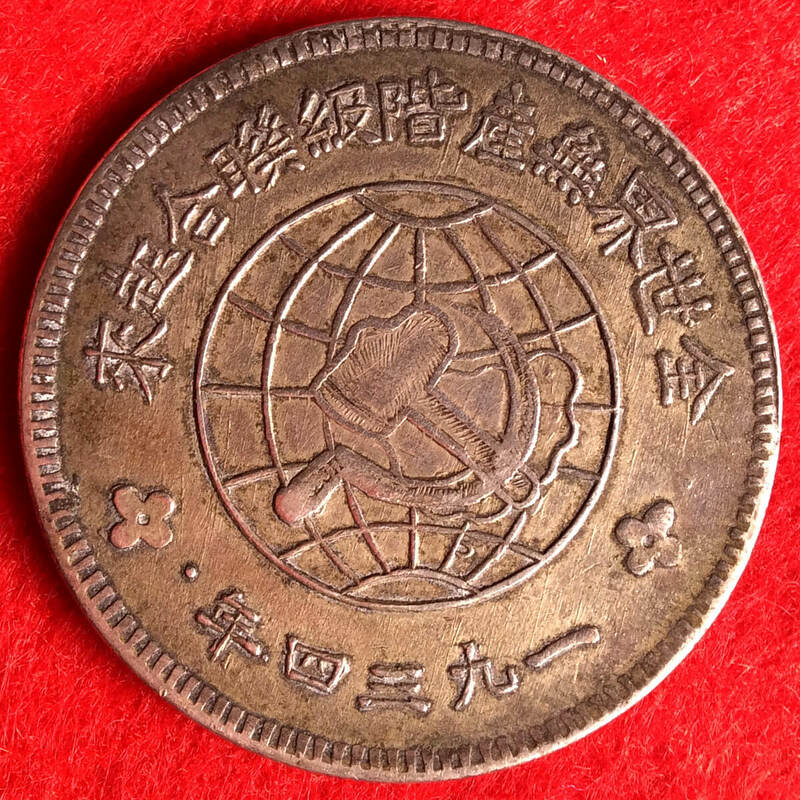 As you can see, however crude the design and strike may be, the characters and design are sharp, and the planchet has the typical defects and raised hairlines of Red Army coinage. Also, there is no "A版" or "B版", Szechuan-Shensi soviet dollars varieties are identified by the style of the stars on the reverse. The coin above is a Y513.5, which has large solid stars. Its obverse is actually the same than the rarest variety, the Y513 with large, decorative stars. I SAY~~~ YOUR TWO COINS NOT THE SAME TYPE. 1. As the old saying goes, smooth coin graphics are not really possible. 2. Etching and memorization is the basic equipment for anti-counterfeiting of mechanism coins. 3. Ring bead shape is also a stage for performing engraving and anti-counterfeiting. 4. Intentional strokes and continuation of the knives of the floor knives. 5. Attached to the 庫 word, the緒 word anti-counterfeiting ingenuity.